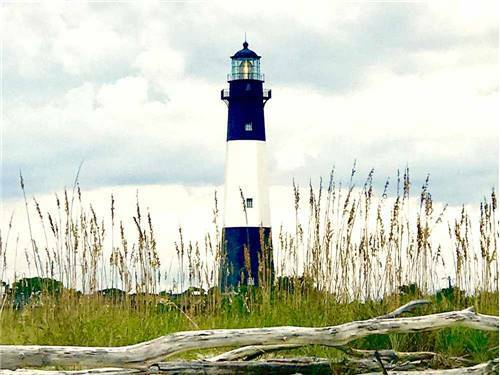 We found 203 Results for "GA"
ENJOY BRUNSWICK & THE GOLDEN ISLES! Country cooking buffet at Fran's Place. Beautiful beaches, historic sites, water park & cruise ship. Golf, fish & sightsee. Affordable family fun! Come relax by the pool or a campfire! Free WIFI! and 63 Channel Cable TV. 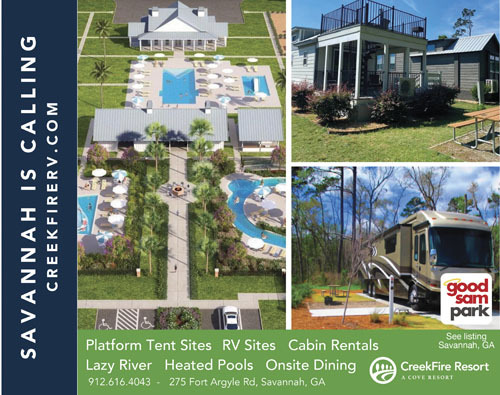 NEWEST RV RESORT NEAR S. GA COAST! 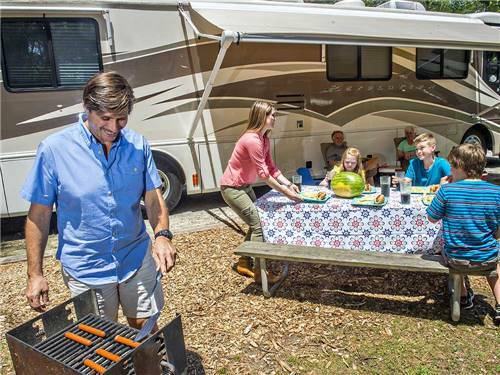 Bring the family & enjoy our amenities! 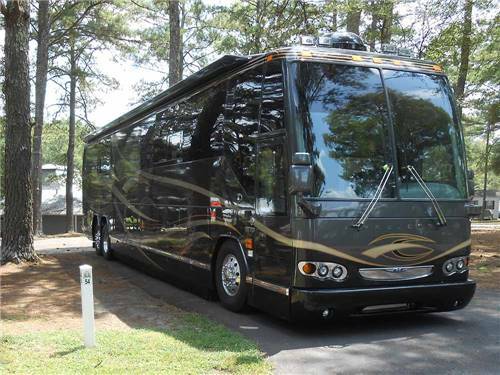 Minutes from golf, beaches & historical sites. 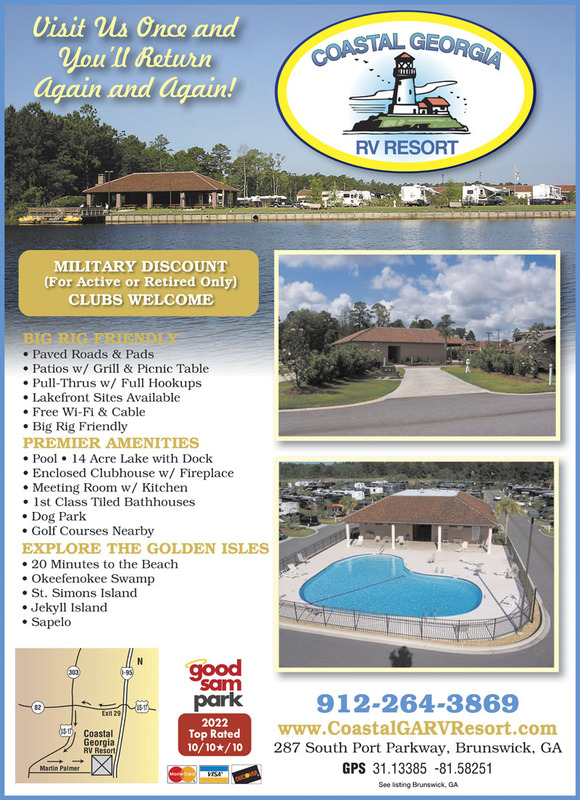 Have a cookout at the enclosed or open air pavilion, enjoy fun in the sun at our pool, cruise the lake in paddleboats or do some fishing. 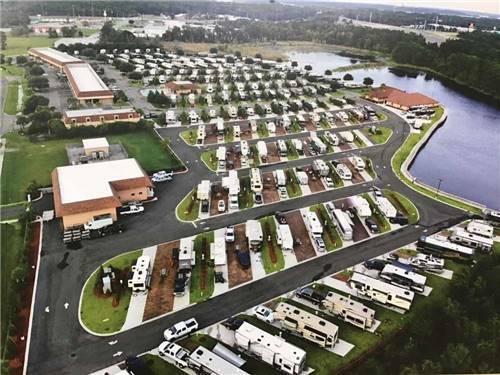 A Lakeside Resort for RV and tent campers. 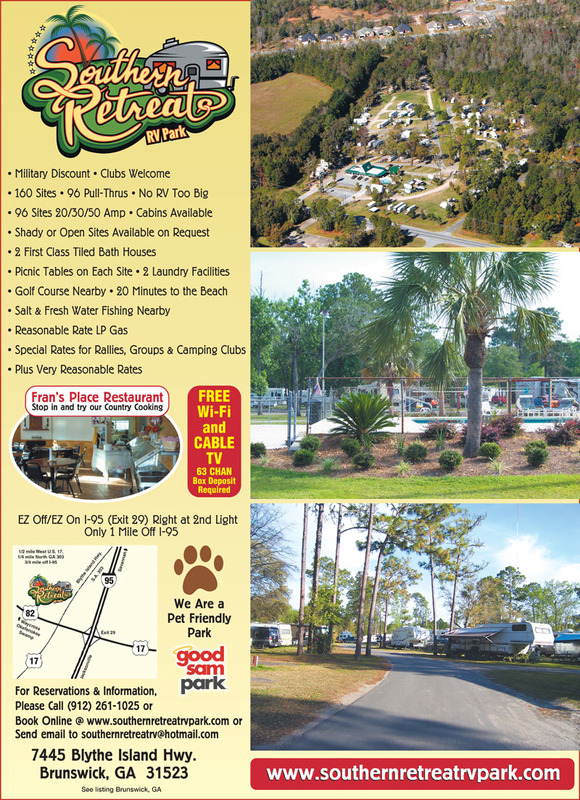 Fish, relax, or visit local attractions. 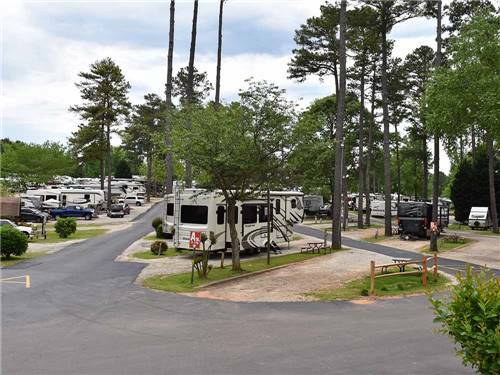 Near Barnsley Gardens, Kennesaw National Battlefield, Etowah Indian Mounds, Tellus & Boothe Museums plus Lakepoint Sports Station. 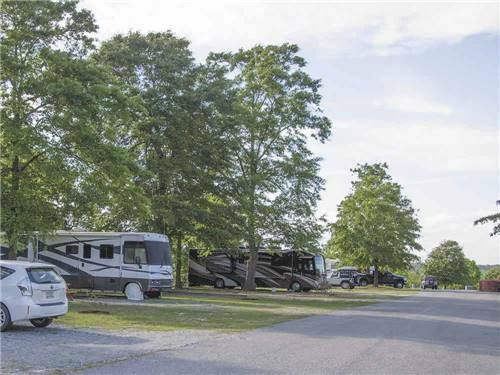 I-75 (exit 32) - Easy OFF & ON and Easy IN & OUT - We can accommodate any size vehicle. Our Very wide & Very long pull-thru sites makes us an easy stop over. Give us a try, you will be pleasantly surprised. Pet friendly. Quiet. Large sites for big rigs. 6 stocked fishing ponds. 112 wooded acres. Swimming pool. Hiking Trails. Club house with kitchen and large room for meetings. Open year round. 4 mi S of Historic Milledgeville. Easy, Clean, Safe & Friendly Every Time. 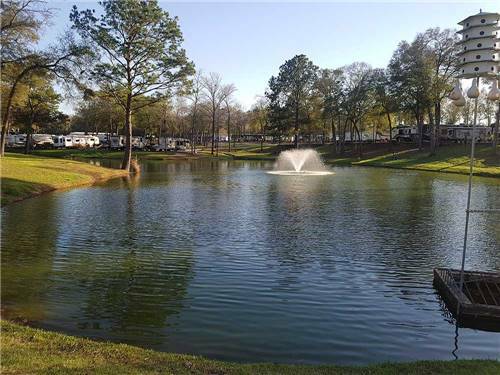 Large, full service pull-thrus with Wifi & Cable TV, quietly nestled around a stocked fishing lake. Family owned & operated. 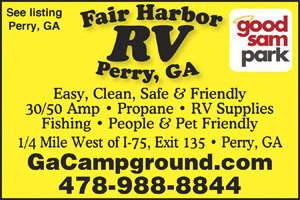 Easy access, only 1/4 mile off I-75. It's Just Better! 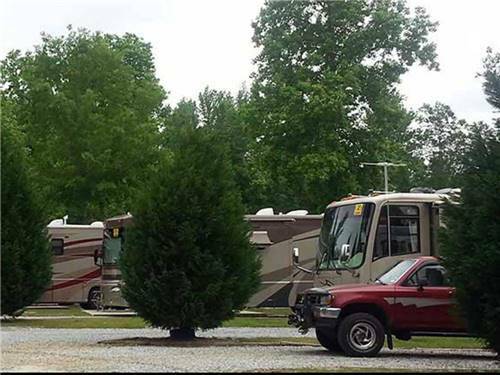 TROLLEY STOPS AT OUR CAMPGROUND! 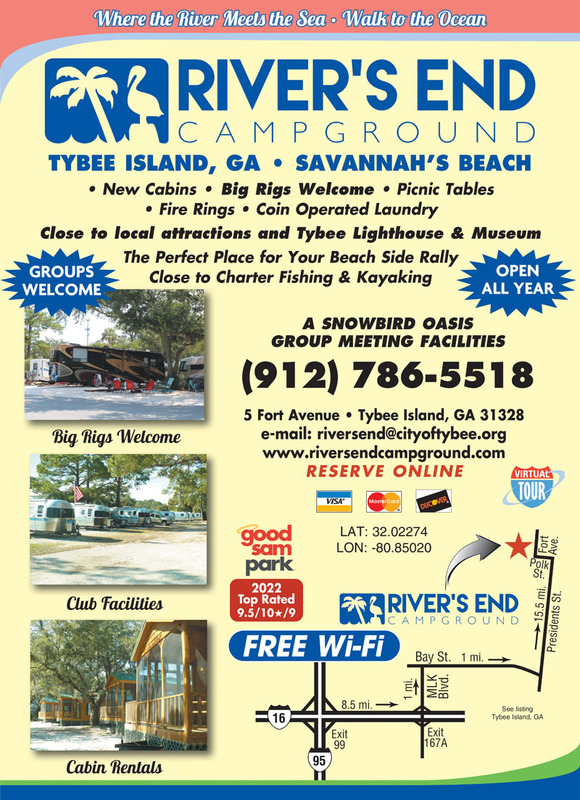 We are a convenient base camp to explore Coastal GA and Historical Savannah. 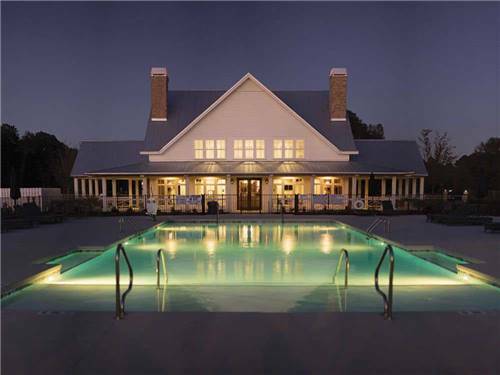 You can relax by the sparkling pool, drop a line in the river or rent a canoe or kayak. 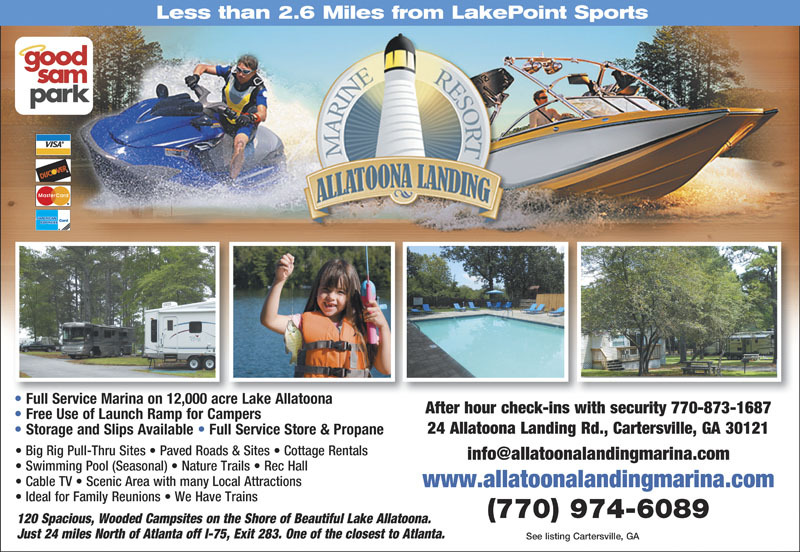 Our area of GA has lots to offer for day trips. Y'all come! 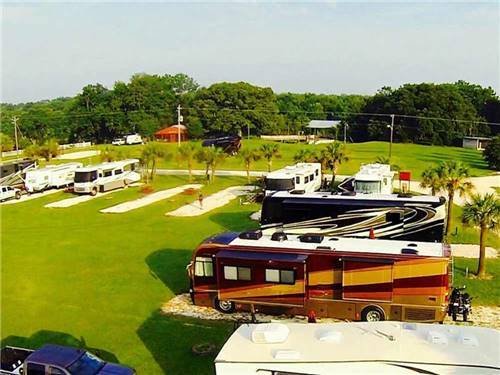 Set up your base camp to explore Savannah from the Closest RV Park to The Historic District - ONLY 6 MILES! Big Rig Friendly. Explore Georgia's Gorgeous Scenery on one of our Guided Horseback Trail Rides. 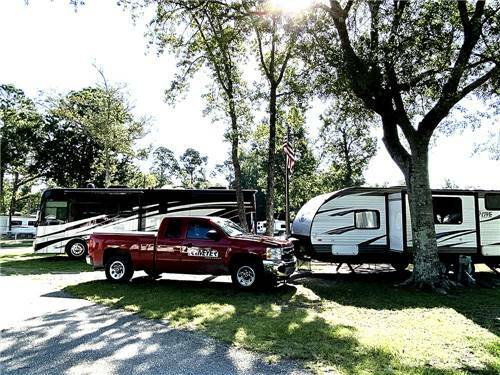 Resort Amenities - surrounded by nature. Regular social activities. Live entertainment most weekends. Front-desk concierge service. 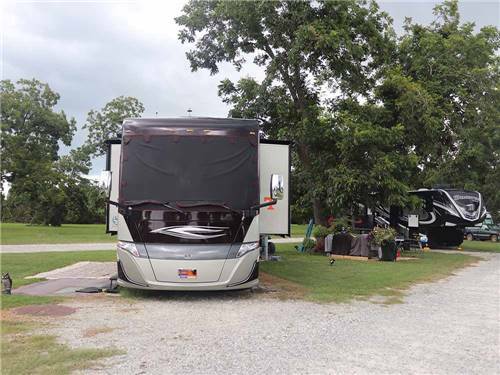 We offer Fun and Excitement when you want it - and Relaxation and Solitude when you need it. 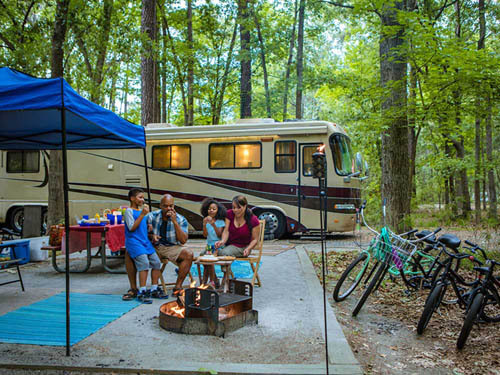 Georgia's most popular attraction features a wide variety of activities for the whole family. 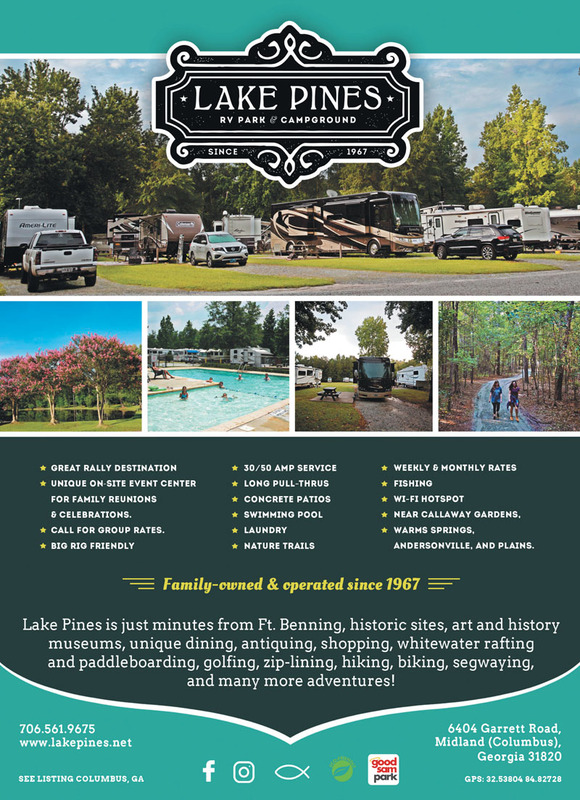 Located on 3,200 acres of natural beauty, you'll discover interactive family adventure, historical sites, and fun annual events. A place for all seasons. 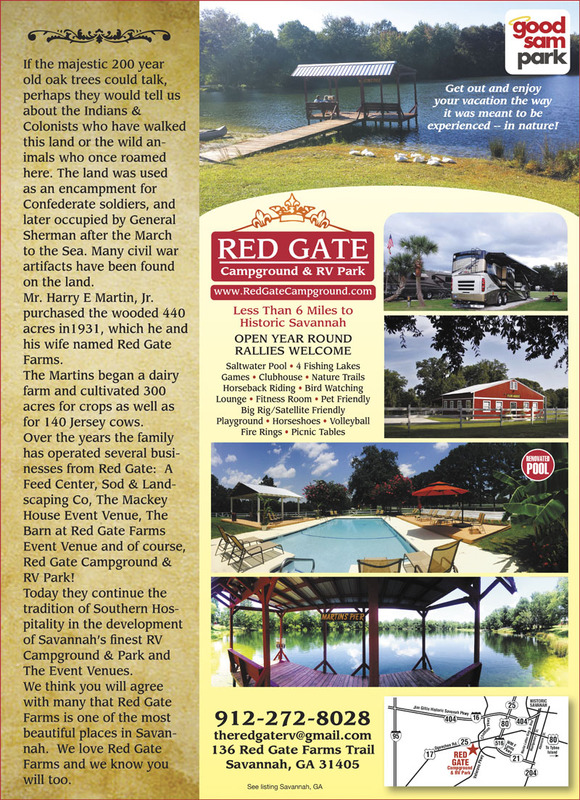 Sandy beaches, great fishing & history at every turn. 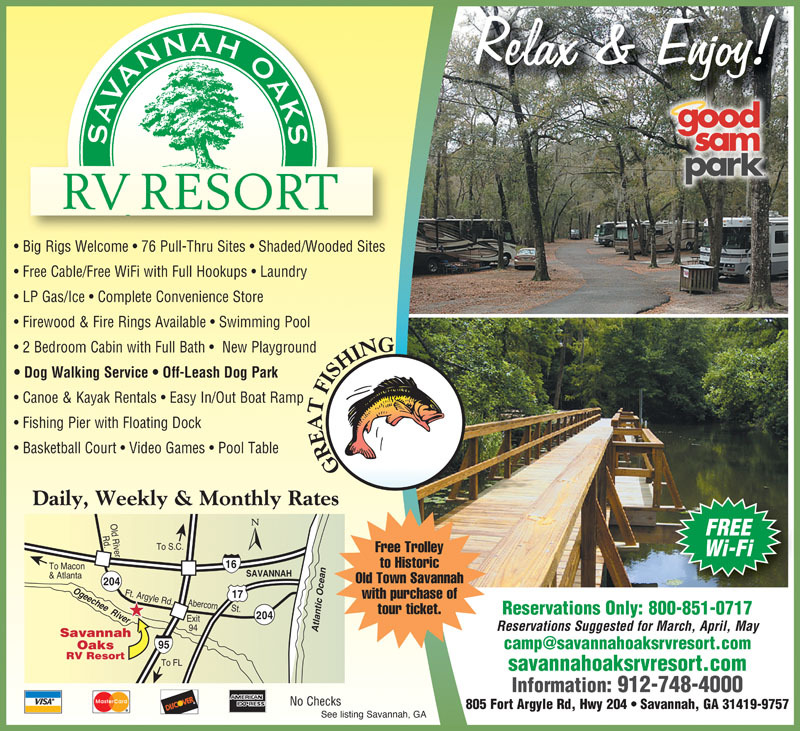 Walking distance to beach & 16 mi to historic Savannah. 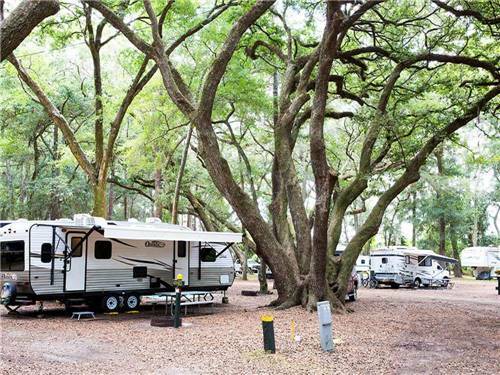 Enjoy Tybee Time under our live oak canopy. See our website for detailed rate guide. 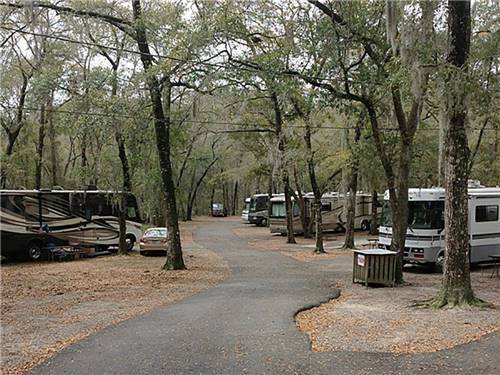 Discover miles of beach, salt marsh teeming with life, and live oaks draped in moss. You'll find out why the Jekyll Island experience is unlike that of any other. 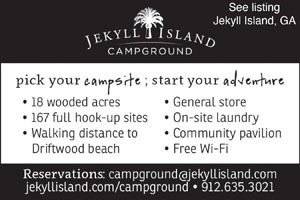 Jekyll Island, a secret we're proud to share.